According to the International Comparison Program, hosted by the World Bank, China is soon to take over as the biggest economy in the world. Based on PPP that is, not measured in US dollars. 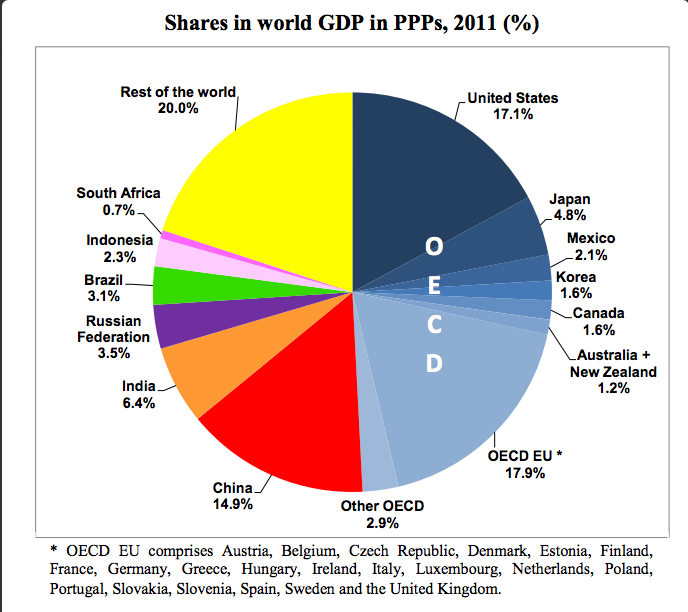 Based on that same PPP measure, the share of ‘developed’ nations in global GDP would be less than half. China’s macro data remain sluggish at best. Both the HSBC (48.3) and the official PMI index (50.4) went up marginally. 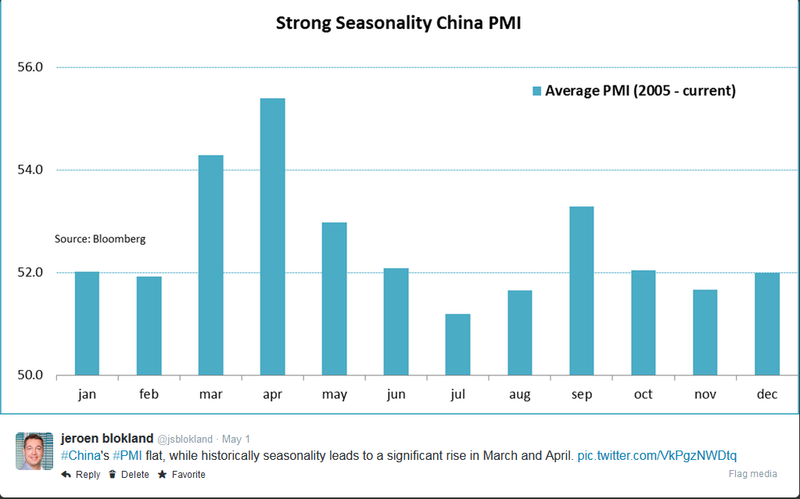 But taken into account that the PMI rises, on average, quite substantially during March en April, correcting for the slow Chinese New Year, the uptick was not something to get really excited about. 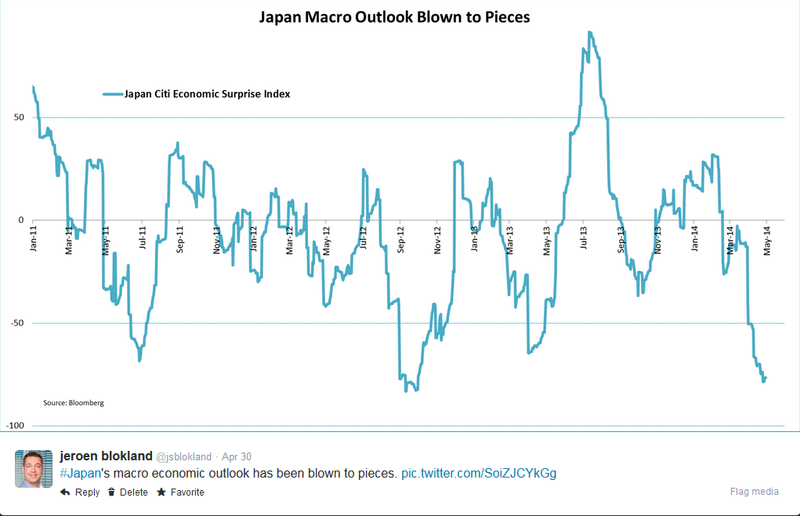 Japan’s economic outlook has become even grimmer. The fall from number one to number last in economic momentum only takes one sales tax hike. Economic surprises are off the charts, at the negative end that is. April is gone, May is here. 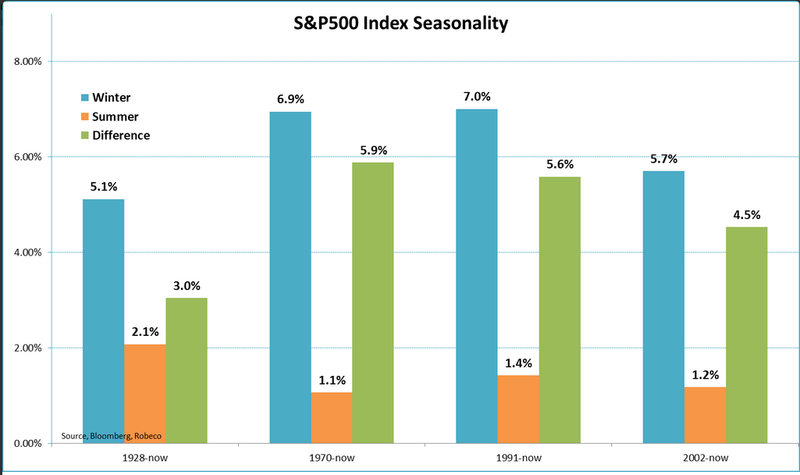 The poor period of the year for equities has started. In my article on seekingalpha.com I try to find out if investor behavior towards the Sell in May effect has changed over time. Read more here. Not much news coming from Europe this week. The PMI is rising, pointing towards some kind of recovery. 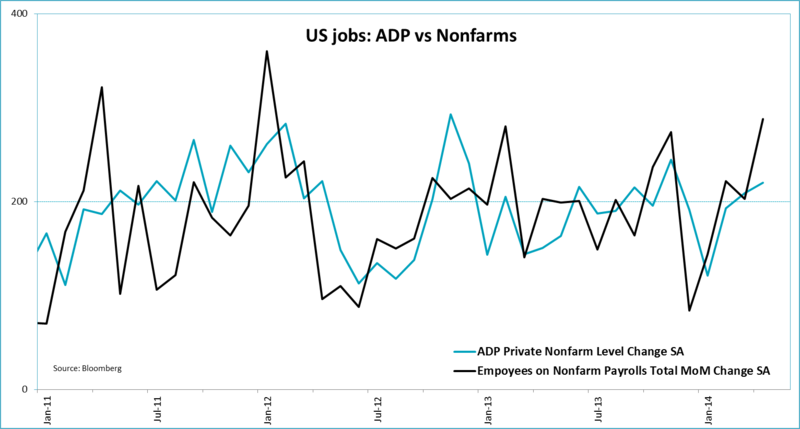 The labor market, however, has quite some distance to go. 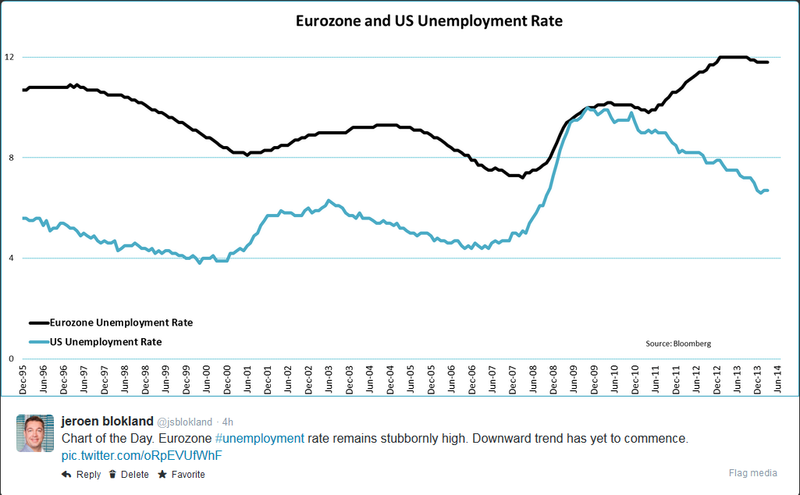 Unemployment held at 11.8%, not far away from its peak. Concerning the US, I suggest forgetting the appalling Q1 growth number as soon as possible. Distorted by much, mostly weather, it is a backward looking number. 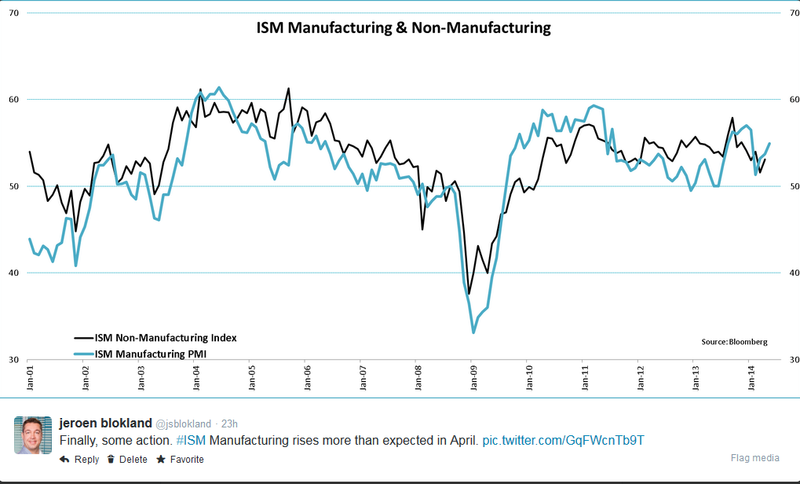 The ISM rose more than expected and the nonfarm payroll delivered a blowout month with a rise of 288K. America’s economy is improving, that’s for sure. I will end this week with Bitcoin. It, finally, got its place on the Bloomberg terminals (XBT). It also popped up in many other stories this week, an experiment at MIT, at Scientific American and one where MasterCard is trying to get people to stop it. Its price is well down this year, but to me the technology Bitcoin is not yet dead. 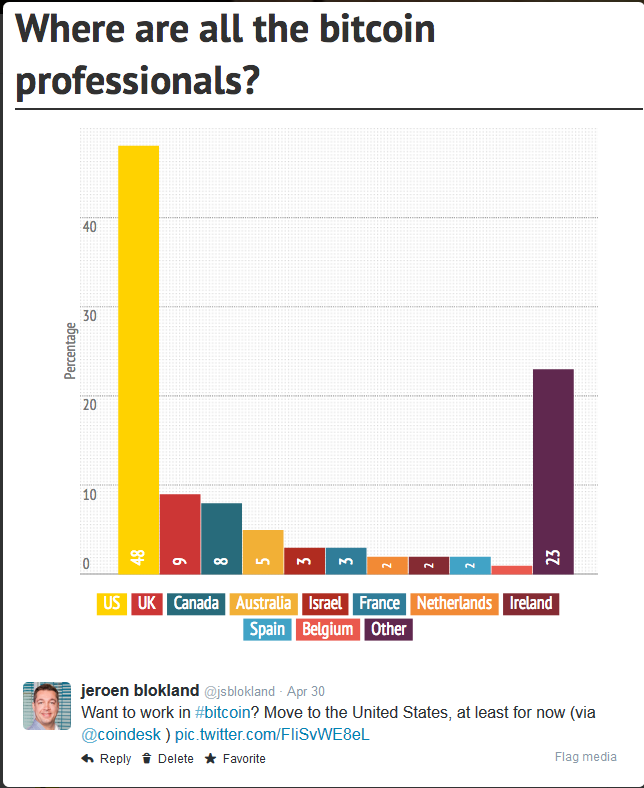 By the way if you want to work in Bitcoin, you’d better move to the US.